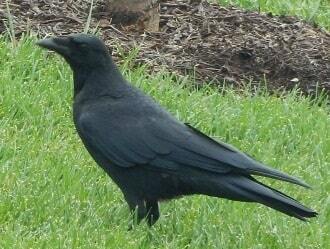 Nearly every bird watching guide describes the American Crow as one of the most intelligent birds. Other adjectives used to describe this bird are resourceful and mischievous. 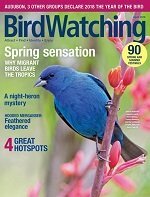 Any way you describe them, these birds are worth watching as they go about their nesting and feeding habits. One commonly seen habit of these birds is called "mobbing". When you hear them giving harsh, drawn-out caws and see them diving into tree tops, chances are, there is a hawk or owl in the tree. The purpose is to drive off what they know is a predator of their young. Even if the predator bird leaves the area, the crows will continue to chase after the owl or hawk for a while longer making sure its gone a good distance. One speculation for this behavior other than to just chase predator birds away is to teach their young who the predators are. 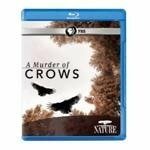 According to the PBS Nature Program "A Murder of Crows", (link to DVD below) these birds may be able to distinguish between one human and another. Also, they seem to be able to communicate to others about whether a certain human is to be feared by recognizing features and remembering past actions. The American Crow is 17 to 21 inches in length. All black with a fan-shaped tail. Both male and female are similar in appearance. This birds voice is the best way to distinguish it from other all black birds. The voice is a long, descending "caaaw". Although it has a variety of other calls which are important to their system of communication. The mating habits of this bird take place on the ground. The male bird has a courtship display of facing the female and fluffing his body feathers. Then he partially spreads his wings and tail and proceeds to bow repeatedly while uttering a brief rattling song. Once a male and female have mated, they perch together and may touch bills and preen each other's feathers. This behavior may not be seen very often as they mate for life. Pairs already mated do not usually have courtship displays. Pairs that are unsuccessful at breeding may return to their families. Should a mate die, the surviving mate will attempt to find a new mate at sometime. These birds also demonstrate cooperative breeding. This is when the previous years young help raise the newest brood. It's not unusual for males to wait a few years before mating. They are very secretive around its nest. While noise is a mainstay of its behavior in other areas, the nesting site is quiet. Sometimes difficult to find, the nest is placed 18 to 60 feet above ground in a tree near the trunk. Made of twigs, sticks, lined with bark, grass and moss. The nest is about 12 inches in diameter. The female lays 3 to 7 eggs that are bluish green with brown marks. Incubation is primarily done by the female with the male close by and sometimes feeding her. Incubation last about 18 days. The young are born blind and flesh colored. After about five days, their eyes open for the first time. Both parents feed the young, receiving help from previous years young. At five weeks of age the fledglings will leave the nest. The parents will continue feeding them for a while after leaving the nest. Only one brood a year. If nesting is interrupted, they may attempt to re-nest. Young males will return to their parents if their first attempt a mating and nesting are unsuccessful. The diet of these birds consist of insects, and small reptiles. They will also eat eggs and nestlings of other birds. Also feeding on carrion, fruit, and crops such as corn. 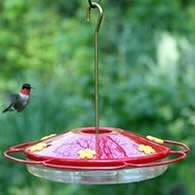 These birds tend to be opportunistic feeders, eating whatever is available. 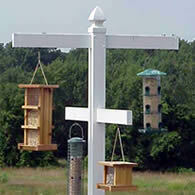 During the nesting season of other songbirds, you may not want to use bird feeders if you have Crows around. They will find songbird nest and feed from those nest. 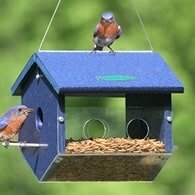 These birds are the most wary while feeding. Feeding in flocks of 5 to 7 birds, they will arrive on their feeding territory landing in the trees. While most will begin feeding on the ground, one or more will remain in the trees watching for predators. Cracked corn and sunflower seeds will attract these birds, although just about any kind of seed will be eaten by them. In fall and winter these birds roost in large flocks numbering in the thousands. Each day in late afternoon, the birds begin flying along fixed routes to pre-roost sites, gathering with other flocks and moving to the final roost. They may fly as far as 50 miles each day to join the roost. Once there, they quiet down and wait for dawn to fly back to their feeding territories. Why Do Crows Fight With Each Other? I'm asked from time to time why would crows fight with each other, even to the death. Sometimes it's as simple as not being a family member. While they are social birds, those not of the family may be chased away to protect territory or mates. It may seem cruel, but sometimes a sick, injured, or otherwise physically compromised bird may be attack by others. Weak animals are always at risk of predators. These birds may have some sense of that vulnerability. 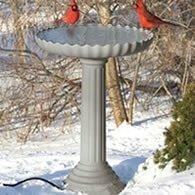 Another question that comes up is, why do they moisten their food in birdbaths and other water sources. Another thought is that they use the water to moisten dry food and soften hard food types such as peanuts. Still, others believe crows dip their food in an effort to provide moisture for the nestlings during the nesting season. This would add water to the young birds diet while still in the nest. Each theory is plausible, but as stated, It's not known for sure.